I have been woefully remiss in posting of late, both CPotD and regular updates. Truth is, I’ve been living out of hotels for the past two months plus! I’ve been travelling for work, and moving my household from northwest Washington to central Oregon. Nick & I have been at the latter location for the past two weeks as he’s started school, and I’ve been attending to all those things that setting up a new household takes… first of all being getting the house itself! As many have heard, securing loans these days is damn near impossible, with banks dragging their feet and tracking every penny, both yours and theirs. Sort of the opposite end of the scale from the freewheeling zero-down, credit for anyone with a heartbeat days of not so long ago. Honestly I prefer it somewhere in between, but more on that later. The good news is, we have the house and the movers arrive tomorrow. Stay tuned for details. As for the car, it’s some sort of cycle car, from the teens I’d guess. Tandem seating, no windshield, bicycle tires, etc. Couldn’t begin to guess the manufacturer, though. Will take better minds than mine. Tandem seating, loooong belt drive, maybe late teens/20s vintage, a type of cycle car, but beyond that…NFC! Mark has it. 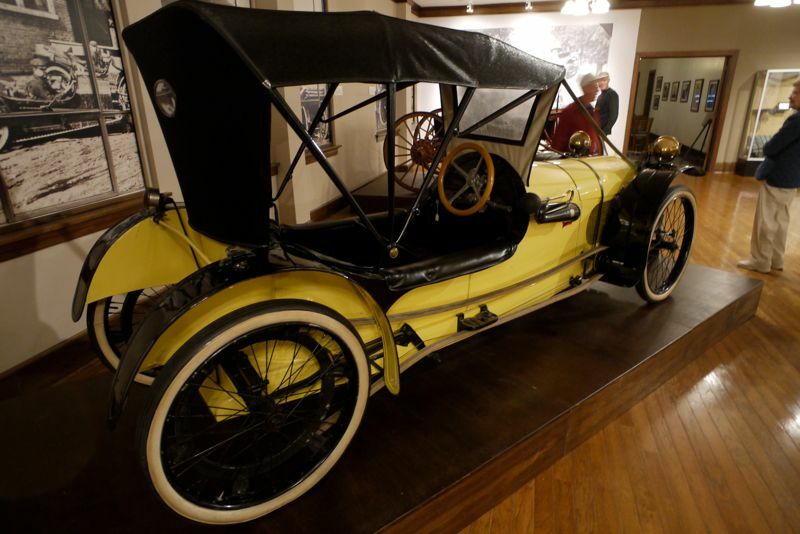 The car is a 1913 Imp Cyclecar, built in Auburn Indiana. The drive belts are scary as hell and the brakes? Holy shee-eyet! Previous Previous post: Mystery Cargo! Next Next post: My god, it’s … full of stars!